When you login to your Qintil account, you&apos;ll see on your dashboard a list of courses that have been made available to you by your employers, or that you have added privately. The courses that have been assigned to you by employers have different priorities and availability. The courses are either, Mandatory, Voluntary or Recommended. Recommended courses are also optional, but your employer has suggested that you take them. But make sure that you complete your Mandatory courses first! You&apos;ll also be able to see whether a course is started, in progress or finished, and if it has an expiry date. 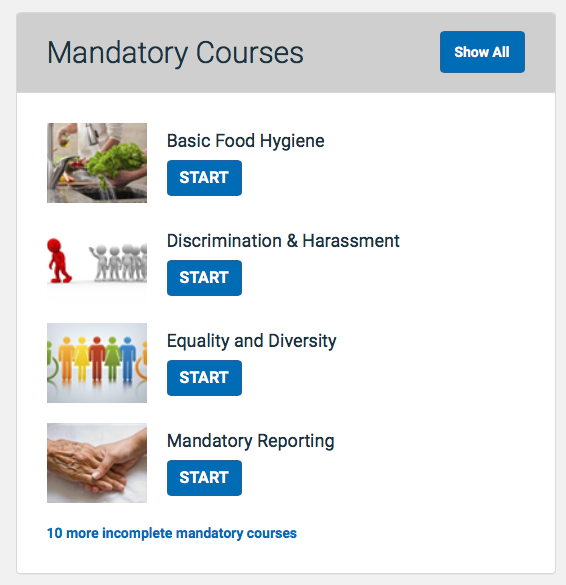 To start or resume a course, go to Courses and click in the title of the course you want to take. 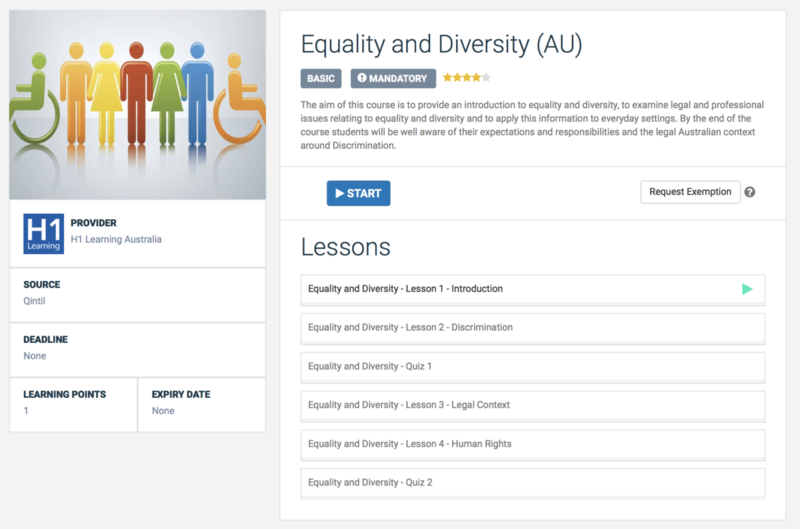 Your course page tells you about the content of the course ad lessons. If you;ve done a similar course with another employer in the last 12 months, you can apply to your employer for an exemption. If you&apos;re ready, click START. The course may open in a new window, and if you&apos;ve previously started the course, it may ask you if you want to resume where you left off. If you need to leave the course but haven&apos;t finished it yet, click the close button in the top right corner. The browser window will close and your progress will be recorded. You cannot pause a quiz however - you must complete the quiz in one sitting. NOTE: DO NOT QUIT A COURSE DURING A QUIZ. YOUR PROGRESS WILL NOT BE SAVED AND YOU&apos;LL NEED TO START THE QUIZ AGAIN. If you have completed a course, including the quiz if there is one, click close to save your progress. Your course will now show Completed and you&apos;ll be able to see the course and view a certificate in your Achievements folder. A record of your achievement will also be available to your employer, and if the course was mandatory, the completion will count towards your compliance status.